Eleanor's Pantry - Fundraising Stars! - The Shop in Paw Paw Donates $3,000! The Shop in Paw Paw held a vendor event February 9th. After last year's success, The Shop in Paw Paw has decided to hold this event annually. 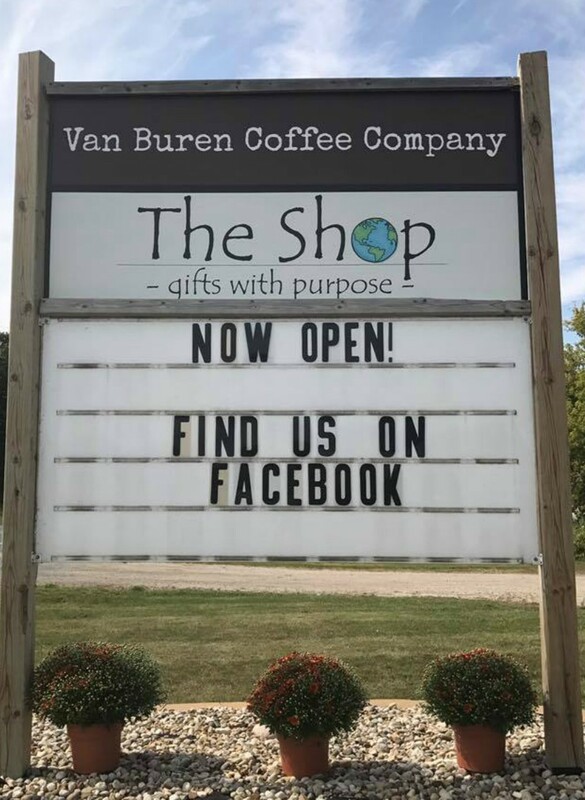 Located at 38772 W Red Arrow Hwy in a shared space with the Van Buren Coffee Company, they have local businesses, etc) gather for a day of shopping. They also had coffee & cookies, prizes, and more! All money collected went to the pantry. For example, vendors pay for their space. They donate prizes that are raffled off. Monetary donations are taken for cookies and coffee (Van Buren coffee company shares a space with The Shop). They also do a drive for non food related items and over the counter medications, cleaners, toiletries, etc. Donations are taken anytime for these items and delivered to the pantry. Located west of Paw Paw at 38772 Red Arrow Hwy. The Shop is a fair trade store; its mission is to help globally. People that shop with us are already there to make a difference. Eleanor’s Pantry!! We greatly appreciate this generous donation. This will help feed many food insecure friends. 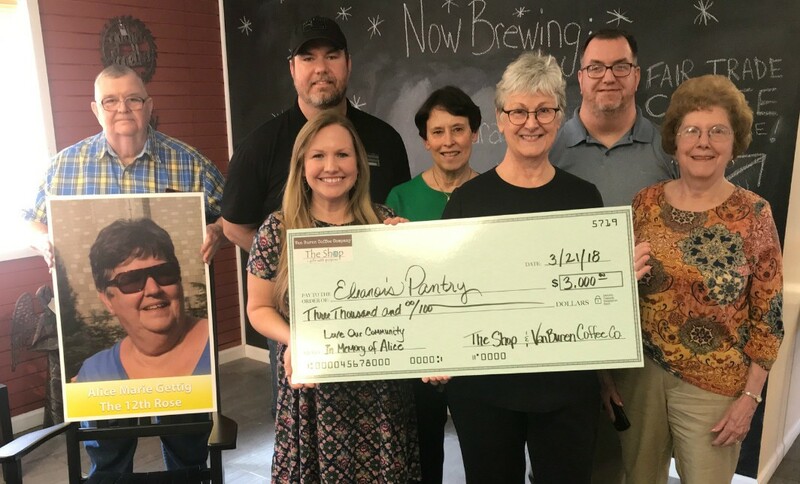 Last year, The Shop donated $3,000 to Eleanor's Pantry through this event! A portion of the money was donated during the "Love Our Community" event held recently. The vast majority were gifts given to honor Alice Gettig (photo on left), as she passed the night before the event. Eleanor’s Pantry was important to her. Her sons own Van Buren Coffee Company and Courtney Gettig owns The Shop.